It’s here, Symfony 2.0 Beta1 is now available to download and play with. You can Download Symfony 2.0 Standard Edition beta1, a good place to start is the quick tour, or the book, both of which should give you a good push in the right direction on how this new version of Symfony fits together. 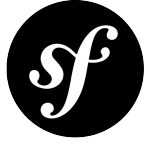 Continue reading Symfony2: Beta1 available! 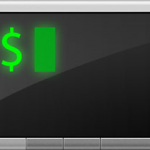 Posted on April 29, 2011 August 3, 2011 Categories DevelopmentTags development, frameworks, PHP, symfony, symfony2Leave a comment on Symfony2: Beta1 available! A few months back I wrote about iTerm2 – well it’s now in BETA and a lot more finished then it was back in January. They have a new site now and it’s full of information about this improved version or the old iTerm. 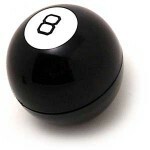 Have you ever wanted a magic 8ball to use at work? A real one, even though nice to have on your desk, is not always practical. When I had a real one on my desk people were forever playing with it when they came to talk to me. Making one is very simple. All you need is an array of values to use as responses, and a way to pick one of them at random. I could have written this in any number of languages, but this one is written in bash for simplicity. 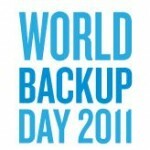 Did you know that yesterday was world backup day? If so then you are most likely a SysAdmin or like me want to make sure that if my machine dies on me I have a decent backup of the important things.